1) I received some great news this week, that I had won the the 1st Annual iPura Tweet & Blogfest at IBSS 2011. The contest was for local bloggers and all you had to do was tweet a little and write a blog post about the 2011 International Boston Seafood Show. I would have attended the Seafood show and blogged about it anyways, so entering the contest was easy for me. I ended up writing four blog posts about the show, as well as tweeting plenty about it. Thanks goes to iPura which has been very supportive of Boston food bloggers. Thanks as well to all of the other local bloggers who competed, and made it a challenge. Boston has lots of great writing talent. See you all next year at the Seafood Show! 2) The Back Bay Hotel will be whipping up exclusive specials for Marathon Monday’s long weekend. The culinary team will introduce a “Carb Up” menu at Stanhope Grille the night before the 115th Boston Marathon, designed for runners and social athletes alike. Cuffs – An Irish Bar will also feature a “Zip Card” menu on Marathon Monday to get you in-and-out in a flash so you don’t miss any of the action. 3) The Melanoma Foundation of New England, a non-profit organization whose mission is to provide support and build awareness surrounding melanoma, will host “An Evening with Dale and Leslie Chihuly” just before the unveiling of his new exhibit at Boston’s Museum of Fine Arts: Chihuly: Through the Looking Glass. On April 5th, true patrons of the arts will gather at the Fairmont Battery Wharf for an intimate evening with the world-renowned glass sculptor and entrepreneur during a rare public appearance in Boston. The Foundation has planned a reception at the Fairmont Battery Wharf Hotel. From 6:00pm–6:30pm, VIP guests will be treated to a private champagne reception with Dale and Leslie Chihuly and from 6:30-8:30pm, a general reception will continue with Dale and Leslie alongside Gerald W. R. Ward, the Katharine Lane Weems Senior Curator of American Decorative Arts and Sculpture, MFA, Boston, and Jim Schantz, Owner & Director of Schantz Galleries Contemporary Glass, Stockbridge, MA. Dale Chihuly will also be available to sign copies of the Chihuly: Through the Looking Glass exhibition catalogue published by The Museum of Fine Arts, Boston, from 6:00pm-7:00pm. To reserve tickets, kindly contact The Melanoma Foundation of New England at: (800) 557-6352 or info@mfne.org. 4) This Easter Sunday hop on over to Tryst for your dining celebration. Tryst is extending their Sunday brunch hours from 10am-3pm on Sunday, April 24, to offer diners a two course, prix fixe brunch menu for only $20 per person (tax and gratuity not included). Reservations are strongly recommended and can be made by calling 781-641-2227. Tryst will not be serving dinner that evening. Toast the celebration with some of Tryst’s classic brunch cocktails including the Mimosa ($9), Peach Bellini ($9) and Bloody Mary ($9). Children’s menu is available à la carte, including French Toast ($4), Eggs Any Style ($5), and Crispy Chicken Fingers ($8). Who would have thought? While attending a seminar on South African wines, I learned of an inspiring love story, a romance to stir even the coldest of hearts. Plus I tasted some delicious wines. And though I will recommend the wines, I will recommend even more strongly that you learn the story behind the winery, Muratie Wine Estate. The seminar, held at Les Zygomates, was led by Rijk Melck (pictured above), the owner of Muratie. The winery is one of the oldest in South Africa, and is located in Stellenbosch, in the Simonsberg region. They were also the first winery to plant Pinot Noir in South Africa. Rijk was a compelling speaker, and I was fascinated by his history lesson of the region and winery. In 1652, the Dutch established the colony of the Cape of Good Hope in South Africa, which was during the height of the slave trade. At one point, the Dutch captured a Portuguese slave ship and some of the slaves ended up in the Cape's Castle. The slaves were often permitted to walk around the gardens and market area during the day, before being locked up at night. One of those slaves bore a girl named Ansela. In 1658, Laurens Campher, a German soldier working for the Dutch East Indian Company, was granted a farm at the foot of the Simonsberg Mountains, about 40 kilometers from the Cape. Now Laurens had also fallen in love with Ansela, though they had to keep their forbidden love secret. With extreme devotion and passion, Laurens regularly visited Ansela, which entailed a three-day walk on foot. For fourteen long years, Laurens made this journey, and Ansela bore him three children, though she was still a slave. Laurens surely loved Ansela, proving it with such dedication. Finally, in 1699, Ansela received a Christian baptism and was then freed, the culmination of her dreams. Ansela and her children moved in with Laurens at what would become the Muratie estate. Grape vines had been planted on the estate and Ansela helped to ensure the estate was successful. The passion and devotion of Laurens and Ansela has reverberated throughout the centuries, helping to transform Muratie into a very successful winery as well as providing great inspiration. Now lets travel to the present, to understand a bit about the Muratie Winery. The winery is not organically certified, but does follow the Biodiversity in Wine Initiative. In addition, they do not use pesticides, choosing instead to use animals, such as geese and wasps, to assist in pest control. (And also have two German Shepherds, named Frank Zappa and Stella Artois.) All harvesting is done by hand. Their wines are imported by Worthwhile Wine Company and locally distributed by Masciarelli Wine Company. We got to taste five Muratie wines, and all were very good, showing a clear minerality. Rijk stated that they are not trying to make either Old World or New World wines. Instead, they are making wine that reflects the soil, their terroir, and the wines actually seem to be somewhere between the Old and New World styles. In general, Rijk states their wines are elegant, with good acidity, minerality and a long finish. In addition, all of their wines are made to be accompanied by food. The 2009 Muratie Isabella Chardonnay is produced from 100% Chardonnay, which has spent nine months in French oak, only 40% new. The grapes come from three different vineyards, each picked at different times to emphasize different elements. For example, one group is picked early for more acidity. The wine is named after Rijk's daughter, Isabella. The wine is full-bodied, with some creaminess, and flavors of smoke, citrus, lemon and minerality. It was an intriguing wine, a bit different from many other Chardonnays, and would be a great option this summer. The 2010 Muratie Laurens Campher White Blend is a mix of 39% Chenin Blanc, 32% Sauvignon Blanc, 24% Verdelho and 5% Chardonnay. This had an exotic taste, with flavors ranging from grapefruit to pineapple, and some floral notes. It was crisp and refreshing, with a strong minerality backbone, and a moderately long finish. Another good choice for the summer and I would like to try this with some fresh seafood. The 2007 Muratie Shiraz is made from 100% Shiraz, from 16-18 year old vines. It spent about 16 months in 90% French oak and 10% American oak. This was a strong but not overpowering wine, with delicious spice and black fruit flavors, and underlying herbal elements. The tannins were moderate and the finish was long and satisfying. The 2007 Muratie Ansela van de Caab is a blend of 48% Cabernet Sauvignon, 37% Merlot, 12% Cabernet Franc and 3% Shiraz. This wine spends about 18 months in French oak. This wine is more tannic than the Shiraz, with strong flavors of black fruit, cigar box and cocoa. Plus, it had more minerality than the Shiraz. This is a wine that cried out for a thick steak. The 2008 Muratie Cape Vintage is an intriguing blend of Tinta Barocca, Tinta Roriz, Tinta Francesca, and Souzao. Muratie is the only winery in South Africa to use most of these grapes, except for the Tinta Roriz. This is a Port-style wine, aged for two years in old French barrels. It has a mild sweetness, with some notes of black cherry candy, but combined with dark spices. It possesses a good acidity as well as a pleasant and long finish. Let me finish with another inspiring tale of Muratie. Rijk is a medical doctor, who worked for a time in England before returning to South Africa in 1980. At that time, most doctor offices had two doors, one for whites and one for blacks. Rijk though refused to do so, having only a single door for his practice. It can't have been easy to oppose the norm, yet Rijk stood his ground, opting for what was morally right. That too is inspiring and commendable. Ok, one more fish head photo. While attending the International Boston Seafood Show, I also had the opportunity to peruse the New England Food Show, which is a tradeshow for the food and restaurant industry. They were located in adjacent exhibit halls so it was easy to come and go between the two shows. How did the two trade shows compare? Let me try to briefly compare and contrast based on my post, Ten Things You Should Know, about the Seafood Show. First, the Food show was more local than international in scope, showcasing numerous Massachusetts businesses. Second, it is a much smaller event than the Seafood show, maybe as much as 65-75% smaller. Third, like the Seafood show, every booth told a story, and the more local flavor added to the appeal. Fourth, like the Seafood show, it was very business oriented, the exhibitors trying to sell their products and services to those in the food industry or consumers. Fifth, like the Seafood show, it was educational. Sixth, like the Seafood show, it was fun though the Food show lacked a specific Game section. Seventh, the Food show had a wide diversity of food and drink, from cheese to beer, from pastries to sake. Eighth, the Food show had a number of environmentally conscious products and services available. Ninth, some healthy food and drink products were exhibited, though plenty of less healthy ones were available as well. Tenth, there were plenty of free samples available, both food and drink, to sate your appetite. I now want to highlight several items which most impressed me at the Food show. These are items I recommend that my readers check out. I am very selective in my vodka, especially as I often drink it just on the rocks. So I was initially skeptical when I came to the V-One Vodka booth. Its creator, Paul Kozub, lives in Shrewsbury, Massachusetts, and made this vodka in honor of the memories of his father and grandfather. His grandfather had produced vodka in Massachusetts during prohibition, and those stories were passed down to Paul. The vodka is now distilled in Poland by Stock Polska/Polmos Lublin, a distillery which has been manufacturing its own vodka since 1906. One of the key differences that separates V-One from other vodkas, is that it is produced from 100% Spelt, an ancient wheat variety that may extend as far back as 6000 B.C., and is somewhat the grandfather of modern wheat. In Polish, spelt is known as orkisz. Spelt was introduced into the U.S. in the 1890s, but eventually was replaced by bread wheat, which also occurred in most other parts of the world. But spelt is making a slow comeback and you can find it in some organic food sections. Because it has a tougher and thicker husk than wheat, it may possess more nutrients, which receive protection from the extra husk. But, that husk comes with a price, a smaller seed which means the yield is smaller. The protein in spelt may be easier to digest than other wheats. Tastewise, spelt has a nuttier and slightly sweeter flavor than whole wheat flour. Paul grows about ten acres of spelt in Shrewsbury, and the rest of the spelt comes from Poland. Spelt is not cheap, and it costs about three times as much to produce a spelt vodka as opposed to other luxury vodkas. Despite that fact, V-One sells for about $25 for a 750ml bottle, making it cheaper than other luxury vodkas such as Grey Goose and Belvedere. Yes, scratch your head over that one as the vodka which is more expensive to produce cost less than other which are cheaper to produce. V-One is also hand-crafted in small batches and distilled five times. But what about the taste? It had a very muted aroma, and was incredibly smooth in my mouth with a hint of herbality and mild bitterness on the finish. The bitterness was pleasant rather than off-putting, and it had a very clean and pure taste with subtle notes of almost almond. This is exactly the type of vodka which I would drink on the rocks, smooth and clean. It was an impressive vodka, and certainly better than some other luxury vodkas which are more expensive. And at its price, it also is a very good value for a vodka of such high quality. If spelt can make such excellent vodka, then more producers should be using it. From vodka to rum, my spirits journey continued. Though I was aware of the DonQ Rum brand, I had not tasted it before. DonQ Rum comes from Puerto Rico, and its history extends back to 1820 when Juan Sebastian Serrallés, a Spaniard, settled in Puerto Rico and established a sugar cane plantation. By 1865, the Serrallés family was producing rum and in 1934, the DonQ brand was launched. The DonQ brand was relaunched in the U.S. in 2006. DonQ produces four straight rums and four flavored rums, and I got to taste all of them. The straight rums included the Cristal (aged 3 years), the Gold (aged 5 years), the Anejo (aged 8 years) and the Gran Anejo (aged 12 years). The Cristal is aged in American White Oak barrels and undergoes multiple distillations to make it smoother. They succeeded as this was a silky smooth rum, with no harsh bite, and a very clean taste. I could drink this on its own, or use it in cocktails. The Gold was richer, with a bit of a smokier flavor, and was equally as smooth as the Cristal. The Anejo was once again silky, with a more complex melange of flavors, including a bit of smoke, caramel, vanilla, and almonds. The Gran Anejo was superb, like a fine scotch, something to be slowly savored. It was complex, very smooth and its finish just lingered on and on on your mouth. The Gran Anejo will thoroughly impress any rum lover. As all but the Gran Anejo cost under $20 a bottle, they are excellent values. The Gran Anejo is around $70 a bottle, and I believe it is worth the price. I cannot recall the last time I have gone through a rum company's entire lineup and really enjoyed each and every one of their products. Most companies have at least one or two lesser end products that taste too harsh, but none of the DonQ rums have that problem. I could easily drink any of the DonQ rums straight and I highly recommend all of these rums. I was not as impressed with their flavored rums, primarily because most of them were too sweet for my preferences. Their flavored rums include Coco, Mojito, Pasion, and Limon. Out of the four, I enjoyed the Coco the most, which had a strong coconut flavor yet was not overly sweet. Properly mixed in a cocktail though, these flavored rums might shine better. The Edge is an old-fashioned diner in Shrewsbury, Massachusetts, a place for hot dogs, burgers and similar dishes. Plus, they make their own root beer, Olde No.43 Homemade Root Beer. Over a period of six months, they tried numerous root beer recipes, allowing consumers to help taste test the results. Finally, they came upon what they felt was the best recipe, and they bottled Olde No.43. This is one of those beverages best sipped ice cold, and at the restaurant you receive a frosted mug. It had that old style root beer smell, and tasted like it as well, an intriguing herbal taste, without the syrupy sweetness of many modern root beers. It was not overly carbonated either, being more refreshing than many other modern brews. This would be perfect on a summer day, bringing you back in time, to a less processed era. Maybe I need to take a trip to Shrewsbury to check out the Edge restaurant. Rather than the usual French fries, why not try some fried yuca? MIC Food sells tropical and Caribbean food products, and I got to sample two of them: fried yuca and fried plantains. These were essentially frozen packs, which are very simple to prepare. For example, the yuca are actually precooked and need only about ten minutes to prepare at home. I enjoyed the taste of both, and think it would be difficult to know that they once had been frozen. The yuca were not tough like some I have previously had, having a crisp exterior and more fluffy interior, and the plantains had a nice sweetness to them. If I see these in the supermarket, I will buy them. Why mention a water and drink dispenser? Well, this machine really impressed me. Aeterna Water sells a variety of water and drink delivery systems, for homes and businesses. It is also a very ecologically friendly business, endeavoring in numerous ways to be as "green" as possible. The systems purify your water, as well as chilling it if you desire. Now, when I drink water, and a number of other beverages like iced tea, I like it to be ice cold. Ice is ok in some situations, though it can dilute some beverages. And ice can take time to chill your drink to the temperature you desire. But when I tasted the water directly from the above machine, it was perfectly chilled. Absolutely thirst quenching and exactly how I would want my water all the time. It also had a clean, pure taste. The above machine also had carbonated drinks and peach iced tea. The Classic Orange was once again perfectly chilled and not overly carbonated. Those Poland Spring water dispensers cannot compete with the Aeterna. I don't know the costs of the Aeterna systems though, which might be an obstacle to some. But due to the quality of their product, I will be investigating them further. Chef Joanne Chang, of Flour Bakery and Myers+Chang, made an appearance at the Food show, autographing her new cookbook: Flour, Spectacular Recipes from Boston's Flour Bakery + Cafe. This is an excellent cookbook and you can look for a review of it from me in the near future. A new wine consumption survey, conducted by Wine Opinions, offers some rather disturbing findings, indicating that Americans are moving away from drinking wine with meals, preferring to drink it on its own. And it is the Millennials, the next wine generation, which is drinking the least amount of wine with meals. Why is this happening? The survey involved some of the "most frequent purchasers and consumers of wine" and those are the type of people I would have expected to drink wine the most with meals. 41% of the respondents drank wine with a meal while 26% drank wine without food, the rest drinking wine while preparing a meal or with snacks/appetizers. Women drink less wine with food than men, 29% vs 25%. The largest group that drinks wine without food are the Millennials, at 31%! In fact, it is the oldest generation, that over 65 years old, which drinks the most wine with food, about 50%, and each younger generation is drinking less and less with food. This seems to indicate that Americans are moving away from drinking wine with food, away from a more European view of wine. In Europe, many see wine and food as integrally linked, and thus rarely drink wine without food. That contributes to making wine a closer element of their culture and society, rather than just being another alcoholic beverage. So what does it say about Americans that they are more and more preferring to drink wine on its own? Are they more concerned about the alcoholic effects of wine than how it might enhance their dinner? Is wine being viewed more as just another alcohol, and not more as a food? I don't like this trend and its potential ramifications. I think the American wine culture would benefit from more people viewing wine as an accompaniement with food, rather than a stand alone product to alter your mind. Thinking of wine more as an alcohol can have an effect on our legislators, giving them additional justification for their more draconian wine laws. It may also affect the type of wines that U.S. wineries produce, as they cater to the desires of younger consumers. I always thought that more and more wine consumers were learning to drink wine with food, but I was very wrong. The opposite is actually the truth. Can this movement be changed? If so, how can it be changed? And if you don't think it should change, why not? On Friday evening, a group of curious and adventurous diners chose to accept my challenge, to see whether sake and Italian cuisine would be a good pairing or not. Most of the attendees had little, if any, prior experience with sake, and none had ever tried it with Italian food. But they were all open to trying it, intrigued by the idea. In collaboration with Gilt City, the dinner was held at Prezza, and Chef Anthony Caturano created a special four-course menu for the evening, and I paired a different sake with each of those courses. First, the food was excellent, and well received by the guests. Some had been to Prezza before, and were already fans, while others had never been and were impressed. They were especially amazed at the large size of the pork chops we received. The chef did not skimp in the least on portions and each dish was plentiful in flavor too. Second, the most popular sake of the evening was probably the Hou Houshu Sparkling Sake, which many said seemed the least sake-like to them. It was sweet and bubbly, and a real crowd pleaser. It is the type of sake that almost anyone would enjoy, and it was simply a fun drink. Third, the most popular pairing was probably the Kurosawa Kimoto Junmai with the Mushroom Risotto. the earthier and rich umami flavors of the Kurosawa complemented the savory mushrooms as well as the grated parmesan atop the risotto. I think the Kurosawa is a versatile sake, perfect for everything from BBQ to fried chicken. Plus, it is relatively inexpensive, often available for under $20. The pairings led people to think in a different paradigm, to break out of the box of their preconceptions on food pairings. Plus, they learned about sake, as I spoke during the meal, providing them a crash course in Sake 101. I believe the dinner was a success, and I look forward to repeating this challenge in the future, as well as hosting other sake dinners with a variety of cuisines. Sake and pizza? Sake and BBQ? We shall see what the future holds. A new restaurant serving Belgian pomme frites, fried eggs and waffles. How could I not be drawn to such an appealing trio? Saus, open less than one month, is located on Union Street, relatively close to Fanueil Hall, the North End and City Hall. I had eagerly followed the progress of Saus on Twitter, and stopped by the other day for my first taste. And I will be returning. The restaurant is small, able to seat around 20 or so people, and has some interesting decor, lots of pictures of French comics. I like the decor, and think it injects some originality and personality into the space. You order your food at the counter, and the menu is small, concentrating on frites and waffles. Pomme frites can be ordered in three sizes, costing $4, $5.50, and $7, and you receive a free sauce with your order. Additional sauces, of which there are at least a dozen varieties, cost $0.75 each. The sauces range from Truffle Ketchup to Cheddar & Duvel Ale. You can also get Poutine, in two sizes costing either $6 or $8. There is also the option of getting a Fried Egg atop your frites for $1.50. Finally, the Belgian Liege Waffles cost $3.50 and Dipping Sauces at $0.75 each. I began with a Regular order of Pomme Frites, topped by a Fried Egg, and accompanied by two sauces, Truffle Ketchup and Bacon Parmesan. The frites are prepared to order, and come in a paper cone sitting in a metal holder. They look appealing and the frites have a very crispy exterior. I liked the flavor of the frites on their own, but they were also very good with both sauces, as well as the egg yolk. I do recommend ordering the egg with your frites. The bacon parmesan sauce had an excellent smoky bacon flavor. Next time, I will try the poutine. After finishing my frites, I ordered a Belgian Liege Waffle with the salted caramel sauce, but also asked that they did not add any powdered sugar. The waffle is already sweet, made with Pearl sugar, and the sauce adds even more sweetness. Powdered sugar would simply be overkill, quick to put you into a sugar coma. The waffle is denser than other waffles, being made more with a dough than a batter, and was crispy on the outside, and soft and fluffy inside. The salted caramel was quite delicious, the saltiness helping to offset the sweetness. This is definitely a dessert waffle, not a savory choice. The servers were very pleasant, welcoming and accomodating, offering free tastes of the dipping sauces. I think prices are reasonable for the quantity and quality of food you receive. My favorite pomme frite restaurant is Pomme Frites, in New York City, and Saus does a very good job though still not as good as Pomme Frites. My personal preference is for a bit of a thicker frite, so you have more of the fluffy potato interior. That certainly though won't prevent me from returning to Saus for their frites. Plus, consideration has to be given to the fact that Saus is still very new, and still working out all of the kinks. It will be interesting to continue following their progress. I recommend that you check them out, a good spot for a quick snack or dessert. April 12, 6pm: Cynthia Gold, Tea Sommelier for the Park Plaza Hotel, former owner of Tea Tray in the Sky and Elements restaurants and co-author of “Culinary Tea: More Than 150 Recipes Steeped in Tradition from Around the World” will be giving a Tea Cocktail Seminar as well as speaking/reading from her book. Signed copies of her book will be available for purchase. She will be giving a demo of how to use tea infusions to create cocktails, and samples will be available. Reservations are highly recommended. For reservations, call (781) 641-1664. 2) The second annual Boston Wine Week kicks off a week-long celebration of wine, from March 28-April 3, served by the glass or bottle at a number of Boston restaurants. Proving that great wine doesn’t have to be a great expense, all wines (some of which retail up to $90/bottle) will be offered at $9/glass and $32/bottle. Participating restaurants will offer a minimum of six wines, available at a substantial discount. Participating restaurants include: Bin 26 enoteca, Lala Rokh, BiNA osteria, Jer-Ne, Kingston Station, Woodward at the Ames Hotel, Petit Robert Bistro, Petit Robert Bistro South End, Petit Robert Central, Beacon Hill Bistro, Parker’s Restaurant at The Omni Parker House, Brasserie JO, 94 Mass Ave, Back Bay Social Club, Union Bar & Grill, and Sam’s at Louis. Check the Boston Wine Week website for additional updates. Also back for the second year running is The Second Glass Classy Bar Crawl, a neighborhood stroll running in collaboration with Boston Wine Week. Two wine crawls are in the works for this year, the first on Thursday, March 31 with pit stops around Back Bay, including 94 Mass Ave, Brasserie JO and Back Bay Social Club. A second Industry Night Bar Crawl will take place Sunday, April 3 at participating Downtown restaurants, such as BiNA osteria, Jer-Ne and Woodward at the Ames Hotel. 3) Ting Yen, owner of Oishii Boston, will host the “Let’s Help, Answering the Call!” disaster relief fundraiser at his restaurant on April 3rd with all proceeds benefitting the Japan Red Cross Society. Ting Yen has enlisted the help of fellow local chefs that are all rallying for the cause. At the event, Anthony Caturano (Prezza), Dante de Magistris (Restaurant dante & Il Casale), Evan Deluty (Stella), Luis Morales (Radius), Kang San (Oishii Too Sushi Bar) and Jeff Nace (Neptune Oyster) will join Ting Yen to help an incredible cause. 4) Join 62 Restaurant & Wine Bar in Salem, on Friday, April 1st, as they toast the return of their full liquor license with complimentary hors d’oeuvres and cocktails. On February 10th, 62 Restaurant & Wine Bar became one of seven restaurants alleviated from Salem's age-old seasonal liquor license that prohibits hard alcohol from being served 10 weeks out of the year-- during the “off season.” Limited to serving only beer and wine during those 10 winter weeks, April 1 will mark the end of their seasonal liquor license, and the first day they can serve liquor again. To celebrate the end of their prohibition, 62 Restaurant & Wine Bar will unveil their new spring cocktail list and serve complimentary hors d’oeuvres to guests from 5pm-7pm in the lounge area. After 7pm, to honor the drinker and diner, “62” will serve a complimentary signature spuntino with each drink purchased off of the new cocktail menu in the bar and lounge area. Guests can cheers to freedom with over 20 creative cocktails from “62’s spring cocktail list, each one made from fresh ingredients, including the “Kiwi” a refreshing blend of Stoli Blueberry, muddled kiwi and house-made ginger lemonade ($10), and the “Sgroppino,” named after classic Venetian sorbet, because of its delicate blend of Ketel One, Prosecco, Limoncello and mint ($10). And no prohibition party would be complete without classic favorites such as the “Back Porch Lemonade” (Smirnoff Citrus, lemonade, cranberry and house-made ginger ale, $10), or the “The Side Car” (Brandy, Cointreau, lemon and orange bitters, $10), just two of “62’s extensive “Signature Cocktails” made with a twist! 5) Spring is in full bloom at Da Vinci Ristorante and Chef Peppino welcomes diners to enjoy flavorful creations and cocktails of the season. Launching Tuesday, March 29th diners may choose from the latest menu, featuring seasonally blends of both Italian and Indian-fused cuisine. For $39 per person, guests will have their choice of nine primi courses, fourteen secondi and seven dolci options. And as a true sign that spring is in the air, guests will have the opportunity dine outside on Da Vinci’s scenic patio overlooking Park Square. To wash it all down, diners are invited to indulge in the following spring specialty cocktails ($12 each). The International Boston Seafood Show ends today, but the results from this show will reverberate throughout the rest of the year. Local retailers and restaurants will have new suppliers, bringing in new seafood products for their customers. Consumers will be able to purchase many of the seafood products showcased at the show. The knowledge gained at the show will support future seafood-related endeavors, and help more people towards sustainability. And the effect will be more than just local but will be international in scale. The future looks more positive, and I am glad for that. I have already told you Ten Things You Should Know about the Seafood Show, and then added Five More Things You Should Know and topped it off with The Key to Sustainability. I'll now end by showcasing some of the most compelling food I sampled at the show, and I certainly ate plenty.With all of the samples I tasted, I could not write about them all so I am only providing a sampling of some of the best. And then I will end with a couple miscellanous matters, and maybe that will even be a bit humorous. One of my most favorite foods of the show were Maristella's Fine Foods Seafood Arancini and Pot Pies. It was good to see that it is a family owned and local, Boston based, business and their name derives from that of a family fishing boat in Sicily. They will be selling four seafood pot pies, including: Wild Caught Shrimp & Andouille Sausage Gumbo, Wild Atlantic Haddock, Lobster with Saffron Scented Creamed Corn and Wild Alaskan Salmon with Horseradish & Chipotle. Above are just samples, and the actual pies will be 13 inches. I tasted both the Lobster and Salmon pies, finding the crust to be nice and flaky, and the interiors to be full of tasty fillings. The flavors were spiced well and fairly complex, not the simple blandness you might find in cheap pot pies. They would certainly make an easy and delicious dinner one night. They will also be offering five types of seafood arborio rice arancini, including: Wild Caught Blue Crab with Gorgonzola Cheese & Applewood Smoked Bacon, Wild Alaskan Salmon with White Wine & Capers, Wild Caught Scallops with Applewood Smoked Bacon, Wild Caught North Atlantic Lobster with Sherry Cream Sauce and Wild Caught Shrimp with All Natural Pesto. I tasted the Crab with Gorgonzola, and found it to be filled with creamy and cheesy goodness, accented by a smoky bacon flavor. Another easy dish to prepare, maybe as an appetizer or side dish. I have long been a fan of catfish, and it often is fried because the pieces are thinner than many other fish. It is also good to know that U.S. farmed catfish is a "Best Choice" by sustainable seafood organizations because it considered to be farmed in an ecologically responsible manner. The piece of fish above though does not look like the usual catfish you find on your plate, as it is much thicker and larger. Yet it is, a new type called the "Delicata," which is an older and larger catfish. Because it is larger, and lacks that membrane found on other catfish, it is better suited to grilling or baking. It has a denser texture but the meat is still white, flaky and slightly sweet. This summer, you should look out for the Delicata and grill up some. That is Capt'n Catfish, the official mascot of the U.S. catfish industry. I tasted a number of crab cakes at the show, but one really stood out to me, the Crabby Pete's Maryland Style Crab Cake. Based in Long Island, New York, the family started out in 1994 supplying crab cakes to local food establishments. What I enjoyed about these cakes were that they will filled with plenty of crab meat, and tasted lighter than many others, showing the lack of heavy fillers. The spices were nice, working with the crab rather than overpowering it. They would certainly impress your guests at a dinner party where you did not have the time to prepare your own crab cakes. No, this is not a photo of a plate of beef jerky. Instead, it is Tuna Jerky, made from individually caught yelllow fin tuna and imported by Maguro International. It is supposed to be high in protein, low in fat, and rich in Omega-3s. I enjoyed the taste and texture, like a well made beef jerky but with more of a seafood flavor. Would be an interesting snack while watching a sports game or hanging out in your backyard. I bet a rich Junmai Sake would be an interesting pairing with this. Rather than take the time to prepare your own sauce, sometimes a store bought sauce will do the trick, provided it tastes good. Fortun's Finishing Touch Sauces seems like a good option to me. They sell 12 different sauces, which are freshly made and all natural. They also are gluten-free and have no MSG. All you have to do is heat the sauce and then pour it over your food, whether meat, pasta, rice or something else. I tasted four of their sauces, and the two which most stood out to me were the Asian Style Pepper and the Four Pepper. The Asian Style Pepper is made with sake, oyster sauce, hoisin and garlic and does remind me of Asian cuisine. Probably would be good atop a stir fry dish. The Four Pepper is made with colorful peppercorns, spices, Madeira and Burgundy wines. It was spicy, and seemed best for meat, especially steak. Both sauces had bits of vegetables or other ingredients in them. Scoma's Restaurant, a famous seafood spot in San Francisco, has entered the retail market with a new line of sustainable, all natural seafood cakes. The seafood cakes can be pan fried or oven heated in minutes. The cakes include: Salmon & Shrimp, Dungeness Crab, San Francisco Style Crab Cakes, Wild Pacific Sockeye Salmon Cakes, and Wild Pacific Northwest Shrimp & Crab. I liked the fact that the seafood was all sustainably caught. Plus, they tasted very good, with lots of seafood in each cake and minimal filler. Again, another product that would impress at a dinner party if you did not have enought time to make them on your own. I didn't get to try their Lobster Pizza but the I did get to taste the Calendar Islands Maine Lobster Company's Lobster Corn Chowder. I have always enjoyed a good corn chowder and adding lobster to it only adds to the enjoyment. This was a tasty chowder, not too thick but with enough creamy consistency. There were tiny pieces of potato as well as some bacon (and what isn't better with bacon?). I had to stop when I saw these oysters being grilled in their shells. The oyster was slathered with garlic butter and then sprinkled with a parmesan cheese blend. Oyster purists may shudder but I found them quite delicious, with a strong garlicky taste. The oysters themselves, Handy Gold Band Oysters, are a bit as they undergo a special high pressure processing which both preshucks and purifies the oyster. So, you can buy just oyster meat, or frozen oysters on the half shell, or the "gold band" oysters. The gold bands come in a complete shell, to seal in the juices, but can be easily opened rather than the usual shucking. Sorry to say I did not get the name of this exhibitor, but they made a fantastic grilled South African Lobster Tail with a white truffle butter. It may not be a Maine lobster, but it still can be quite appealing. Famed Chef Paul Prudhomme made an appearance at the show, displaying his Magic Seasoning Blends, his books and more. At one time or another, most people have probably used some of his seasonings at home, and may still do so. They come in a variety of flavors, versatile enough to be a welcome addition in many different cuisines. It seems Chef Prudhomme is not someone who chooses to rest easy at home on his past glories, but rather someone who still gets out to meet the people. That was an inspiring sight to me. This was bit of an oddity, smoked fish from the African coast off Nigeria. Schafer Fisheries, a family owned business in Illinois, is one of the few companies bringing this seafood into the U.S. I did not get to taste it, but it sure perked my interest. These Mississippi Fried Oysters were addictive, and I had to pull myself away or I would have stood there and chowed down a couple down of them. Ashman Manufacturing has a line of over thirteen seafood sauces and eight dry blends, and I tasted several of the sauces, including the Sweet & Spicy, House Salmon Citrus Wasabi, Jamaican Jerk, House Salmon Honey Ginger, and House Seafood Japanese Style. All of the sauces had a nice melange of flavors, rather than be one-dimensional. The Citrus Wasabi was very good, though I would have liked a bit more spicy heat to it. The sweet sauces were good because the sweet flavors were not cloying, and there were some balancing tastes as well. The Jerk sauce was very appealing, and certainly brought to mind the Caribbean. Their product line has plenty of diversity, offering a wide range of choices for the consumer. And the full flavors of the sauces will make them popular. I was a bit disappointed that I never got to taste any alligator at the Seafood Show. The Louisiana Seafood were serving some gator, but only at certain times, and I seemed to miss those ones. But, I did get to taste their Oyster Milk Soup (as well as get the recipe), and I enjoyed it. It was a lighter soup, with plenty of balanced flavor and spiced just right. This poor Panda is clinging desperately to the bamboo column, fearful of two potentially lethal perils. First, he is worried that the attendees, crazed by all the free seafood samples, might think he is just another sample and try to grill him, coating him first with some panko. Second, the Panda is worried about the over twenty polar bears which are stalking him, waiting for him to slip off the column. You can see the poor Panda to the left of the photo, and a few polar bears are staying very close to him. The Panda should be worried because those pole bears are huge, and have very long claws. I do hope that now that the Seafood Show is over, someone will rescue the Panda, as no one else but me seemed concerned about it during the show. I think I am going through seafood withdrawal today as I am not at the International Boston Seafood Show. But I can savor my memories from the past two days, and relive it through my photos, even if it is only a photo of a fish head. Plus, I have a ton of literature to sort through and peruse. On Sunday, I posted an article, Ten Things You Should Know about the Seafood Show, to give my readers a greater picture of its scope and diversity, and maybe motivate you to check it out. But, after my second day there, and more pondering about the show, I realized there is even more that I felt I should share. So, here is a supplement to my original post, adding five more intriguing elements about the Seafood Show. It may be too late to go to this year's event, but you can always plan ahead for next year. 1. The Gulf oil spill is not a significant concern. I spoke to a number of Gulf based exhibitors, asking them about whether the tragic Gulf oil spill was still affecting their industry and products. Every one of them stated that the problems were essentially over, that all of the fisheries were open, and that consumers had no reasons to fear seafood from this region. Now, it might be easy to have a bit of skepticism about their claims, as obviously they want to sell their products and scaring consumers won't help in that regard. But those individuals I spoke to seemed very sincere, answered my questions directly, and I did not detect any evasion or attempts at deception. I felt more secure about Gulf seafood, so that was a good lesson to learn. The most ubiquitous fish of the entire show was definitely salmon, both Atlantic and Pacific. More exhibitors were showcasing salmon than any other seafood, though cod was a close second. From Copper River Salmon to the Kwik'pak Fisheries, you could find salmon in a diverse mix of preparations, from sashimi to jerky. I love the taste of salmon and it seems many others do as well. Plus, salmon is one of the healthiest fishes you can eat, rich in Omega-3s, so that is added reason why it should be so popular. Long live salmon! 3) Frozen fish products were ubiquitous. Though you might think a seafood show is all about fresh fish, I found many exhibitors showcasing frozen seafood products, ranging from frozen fish fillets to prepared dishes. Many of the samples I enjoyed were frozen, prepared dishes which they heated up and served. Crab cakes, lobster macaroni & cheese, seafood arancini, seafood ravioli, battered fried shrimp, and much more. I can understand the reasoning behind this, as many people want to eat healthy seafood, but in their busy lives they don't always have the time to prepare a meal from scratch. Thus, it is much easier for them to pop a frozen, prepared seafood entree into the oven. And with an increase in frozen seafood products made from more natural and sustainable ingredients, you can feel even better about them. For cooks and chefs, you could find an abundance of seafood recipes at the various booths. Some provided index card-sized, single recipes while others provided sheets with multiple recipes. For example, the Louisiana Seafood passed out cards with recipes for Oyster Milk Soup and Alligator Sauce Picante. Others passed out small books, chockful of recipes, such as Fresh Ideas for U.S. Catfish and Mississippi Shrimp Recipes. You could easily come out of the seafood show with hundreds of new seafood recipes, to keep you busy all year round. Plus, you got to sample a number of those recipes making it easier to determine which recipes you wanted to try at home. Besides recipes, lots of exhibitors were offering free schwag, from pens to cups, from pins to carrying bags. It is certainly customary now at these trade shows for companies to offer such items, in efforts to promote brand awareness. And I saw plenty of attendees delighted to pick up the schwag, grabbing the pens and other items. Though the actual utility for the companies of some of the items escapes me. How many people will actually wear the pins again? I doubt many will do so. As for the pens, they seem more for the individual and I don't see brand awareness spreading too much from them. Now the carrying bags I can understand, especially as so many people use them now. They carry a company logo and will be seen by many other consumers, so they seem one of the best bangs for the buck. If you attended the Seafood Show, is there anything else people should know about it? Trying to determine which seafood is sustainable can be a difficult question, yet it is a determination that numerous consumers and purchasers of seafood are trying to resolve. Sustainability is a crucial issue, and it is taking center stage more and more. No one wants to be responsible for driving a species to extinction. We want our descendants to have access to the full bounty of the sea. But what is the key to assessing whether a specific seafood species is sustainable or not? The answer is simple: Information. We need the answers to plenty of questions, from the current population status of any particular species to the specific methods by which a species is caught. We need to know the source of our seafood as well as the methods of aquaculture, if relevant. Consumers, restaurants, retailers and other purchasers of seafood though have limited time to seek the answers to those questions. So, they need others to do the research for them, although those others must be trustworthy sources. In a previous post, I mentioned that Sustainability is Prevalent at the 2011 International Boston Seafood Show. Each aisle I walked down seemed to have multiple booths with vendors offering sustainable seafood for purchase. Were those items truly sustainable though? Fortunately, also found that attendees could locate that key to sustainability: information. There were several exhibitors offering information and services to help understand the complicated world of seafood sustainability. The Monterey Bay Aquarium, one of the leading sustainable seafood organizations, was at the show offering attendees plenty of information, including the 2009 Turning the Tide: The State of Seafood guide, which provides comprehensive data and details on seafood sustainability. They also had an updated Buyer's Guide, from February 2011, which was a one-sheet listing the seafood that is a Best Choice, Good Alternative or Avoid. Plus, they provided an 80+ page, recipe book, each recipe using sustainable seafood. In addition, they were promoting their 2011 Cooking For Solutions, a culinary event where celebrity chefs celebrate sustainable cuisine. I have had issue with the Monterey Bay Aquarium before, essentially the use of their sustainable seafood "wallet cards." I see them as rather simplistic, when the issue of sustainability is very complex. Their website certainly offers all of the detail you might want, but because of the simplicity of those wallet cards, much of that detail can get lost to the average consumer. And those details can be quite crucial. But overall, Monterey does an excellent job of trying to educate consumers and others as to which seafood is sustainable. So, it was good to see them presenting at the seafood show, helping attendees, answering their questions, and more. Traceability is an important element of sustainability, being able to track the chain of custody of seafood, to ascertain exactly where it came from, how it was caught, how it was processed, etc. Sometimes you go to a food market or restaurant, ask the source of their fish and get a blank stare. Others may be able to provide you some very basic information, like its country of origin but nothing more. But the best places can provide you as much information as you might want. Trace Register is a company that can provide consumers and purchasers of seafood the traceability they desire, operating an online database that tracks every user in the supply chain. I was fascinated and impressed by a demonstration of this system. Essentially, every product which is part of the Trace Register system has a lot number which can be input into their website, thus garnering detailed information about the entire supply chain. You can track the name of the boat which caught the fish, where the fish was caught, how it was caught, etc. You can see which processing plants the seafood passed through, how the seafood was stored, who imported it, who distributed it and much, much more. The system is used by over 500 companies, including some major retail chains like Walmart and Wegmans. It is not yet used by many restaurants, though they are acquiring new clients all the time. I think the Trace Register is an excellent system, which strikes at the heart of traceability, offering exactly the intelligence we desire about the sources of our seafood. There are a number of seafood organizations which provide lists of what they consider to be sustainable seafood, but sometimes those lists may disagree with each other. It can take lots of time to go to each seafood organization's website to compare and contrast what they say about a particular species. But there is a better solution, an impressive answer offered by Fish Choice. Fish Choice is an online resource, targeting primarily commercial seafood buyers, which aggregates the sustainability information from a number of the major seafood organizations, including: Blue Ocean Institute, FishWise, Marine Stewardship Council, Monterey Bay Aquarium Sea Watch, New England Aquarium, and SeaChoice. So, a buyer only has to consult a single website, and can then easily compare and contrast the ratings of all of these groups. You have the ability to search the website in various ways, such as by name, region, supplier and more. When you bring up the data, it is compiled together in a very user friendly manner, and provides comprehensive information on the sustainability of the seafood. I think it is exactly what a concerned seafood buyer would want, and it is even better because all of the information is free! As it is free, a seafood buyer has no excuse not to use this website to help make better and more sustainable purchasing decisions. Other sustainability organizations were also present at the seafood show, including: FishWise, the Marine Stewardship Council and Sustainable Fisheries Partnership. So, attendees had plenty of options as to gathering sustainability information. Thus, the complexities of sustainability can be more easily resolved with proper information, and a number of companies are leading that path. If you purchase seafood, are you availing yourself of this assistance? If not, why not? Because it seems rather clear that you should be doing so. The people of Japan need humanitarian assistance - they need our assistance - to help overcome the devastation. This is why Gabriella and Ryan Opaz of Catavino and I came up of the idea of hosting an event to support Japan, using Wine Blogging Wednesday as ur perfect vehicle. Lenn, the originator of WBW, was quick to support the idea, allowing us to pitch Wine Blog Wednesday #72: Helping Japan. As we want to Help Japan, then the theme for WBW #72 should be Japan-related and that is what will be done. The theme gives you two options, hopefully making it flexible enough that we will garner plenty of participation. 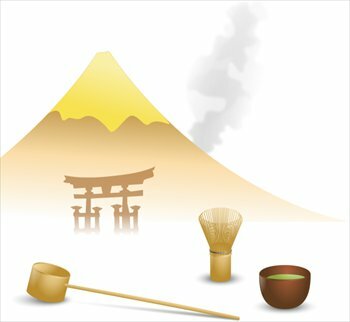 First, you can drink and review a Sake, Japan's iconic beverage. You will earn bonus points if you review multiple Sakés of different styles or types. You will also earn bonus points for pairing Saké with food. I would love to see lots of bloggers try some sake, to expand their palates, but I know that it can be difficult for some to obtain sake. Thus, the second option is that you can drink a wine that pairs well with Japanese cuisine. Japanese cuisine is very diverse, from sushi to sukiyaki, so there are many wines which will pair well with different dishes. Sparkling, white, red, rose and dessert wines will all pair with some Japanese dish. You'll earn bonus points if you actuallly drink the wine with Japanese food. Saké, also known as nihonshu, is a beverage that I believe in taste, style and food compatibility most resembles wine. It is an incredibly diverse beverage with a wide range of styles and flavor profiles. You can find everything from Sparkling Saké to Koshu, aged Saké. Almost everyone should be able to find some type of Saké that will appeal to them. The traditional Saké toast is "Kanpai", a rough equivalent to "cheers" though with a deeper meaning. This Japanese term literally translates as "empty or dry cup" though it really means "Let us drain our cups in friendship." Saké is very much a social drink. Where can you find Saké? First, there are four all-Saké stores in the U.S. where you can shop or order online. These include True Saké in San Francisco, Sakaya in New York City, Saké Nomi in Seattle, and The Sake Shop in Hawaii. Plus, your own local wine store may carry some Saké. If you want more information about Saké, then check out my Passionate Sake site. For those of you in Europe, the Opaz' suggest contacting the Sake Education Council who is willing to help you source sake's internationally. They also have a Facebook and Twitter page. I'll note too that there is a new sake brewery in Norway, called Nøgne Ø, the first and only sake brewery in Europe. Plus, there is a British Sake Association where you may be able to get some assistance. You have until Wednesday, April 6, 2011 to post your review. Please email me a link to your post at ubarluther@aol.com. If you don’t have your own blog, put up your review as a comment on this blog, or email it to me and I will post it for you. Now, to help raise money for the people of Japan, you also need to place this link to the American Red Cross at the bottom of your WBW #72 post. That will allow your readers to donate directly to the Red Cross for this worthy cause. As you can see from the link, there is a specific way to donate to support the disaster relief in Japan. Please feel free to make your WBW post earlier than April 6 if it is ready, giving your readers more time to contribute. You could also post about this theme on your blog, alerting your readers to the upcoming charitable donation so that they can save their money until it is posted. Please help the people of Japan overcome the effects of this terrible tragedy. It is the Chinese Year of the Rabbit. So how should you celebrate? Well, I think an excellent way to do so would be to eat some rabbit. Yes, there will be plenty of people who will recoil at the idea of dining on rabbit. How can anyone eat a cute, fuzzy bunny? Some people may have had a rabbit as a pet, keeping it in a small hutch, and thus feel squeamish about eating something they once had as a dear pet. But people should be eating rabbit as it is one of the most nutritious and sustainable meats that exists. Rabbit can sometimes be found in local restaurants and some of my favorite rabbit dishes have been at Prezza in the North End. In fact, at my upcoming Sake dinner at Prezza, there will be a Rabbit Parmigiano on the menu. 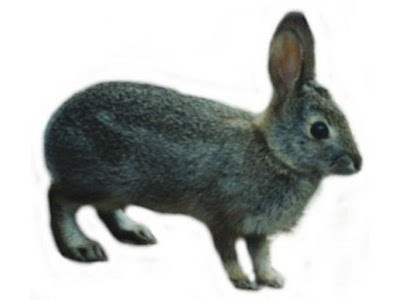 You can also find it at some grocery stores, including the major chains, though it often is a whole rabbit. Celebrate the Year of the Rabbit with a fine dish of rabbit. For more information, and some cool butchery shots and a rabbit recipe, check out The Leather District Gourmet's rabbit post, Of Rabbits and Roller Coasters - Dread, Thrills, and Calm for a new Butcher.